Smartron is back again with another budget smartphone in the very beginning of the year. The Smartron t.phone P will be going on Sale Exclusively on Flipkart for Rs7999. It will be available from 17th January 2017. 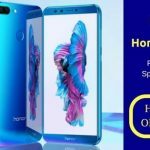 This will be Flipkart’s 3rd Exclusive Mobile Launch after the iVoomi i1 and the Honor 9 Lite, both of which are budget oriented smartphones. Well, when a smartphone is launching under 8k, you cannot expect it to pack many features inside. But, well, it has got something extraordinary, especially at that price point. Guess what? Its battery! The Smartron t.phone P packs a 5000mah battery inside. I guess that P stands for Power, as it will never let you burn the whole juice in 24 hours, no matter how hard you try. That’s not everything, in addition to that, it can serve as a power bank, reverse charging other devices with a USB OTG. For those who remain out of the home most of the time, or need to travel here and there, this tiny smartphone will come very handy. This is the first big battery smartphone of 2018. At its price point, it directly competes with the Snapdragon 625 powered Lenovo P2, which packs a 5100mah battery, but the price is around 13k. This tphone P is directly 5k lesser than its direct competitor. Well, let’s check out what’s inside this device. The phone has got a metallic body, with a 5.2 inch 720P HD IPS Display. The aspect ratio is not 18:9 though. On this aspect, I personally think that where every other brand is opting for an 18:9 display, they could have come with one, especially in 2018. Anyways, there are capacitive buttons for Home, Recent and Back, below the screen. The buttons are backlit, which is a good thing. There is a 3.5mm headphone jack present on top of the device, and on the bottom, there are two speaker grills, however, only the right grill is used for speakers. The USB is Micro USB and not Type C. However, it can connect to OTG and support reverse charging other devices. Good thing. Well, one good thing about this phone is that it isn’t as heavy as you think it to be when you consider a 5000mah battery inside. The phone weighs just 160g, pretty similar to all other devices, and in some cases, lighter than many handsets that support just 4000mah battery. Good job Smartron on doing that. The fingerprint sensor has got a nice place at the back, in an ergonomic place. The unlocking is accurate but takes a half second delay between you touching the sensor and it unlocking the phone for you. If you haven’t used phones with fast fingerprint sensors, such as OnePlus, then you shouldn’t worry about it. The Smartron T Phone P is powered by Snapdragon 435 chipset which is an Octa-Core Processor, and the GPU is Adreno 505. Snapdragon 435 is quite power efficient, although not as much as Snapdragon 625, still, among the good low-end processors. The RAM is 3GB. At 8k, they could have given 4GB RAM and made the competition steeper. I personally prefer using a 4GB device than a 3GB one. Coming to the camera, it does not have a dual camera setup. And, to be honest, that’s not a bad thing at all. These days, every other budget phones are coming with a dual camera but not a budget end dual camera won’t help to produce better images, rather just give the ability to take bokeh shots in portrait mode. Dual cameras are more suitable on mid to high-end phones. As a single rear camera setup, the smartron t phone P supports 13MP rear camera with Phase Detection Autofocus. There is LED Flash for both front and rear cameras so taking selfies won’t be as bad. The camera setup is similar to sub 10k devices and should not disappoint budget users. 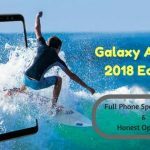 Coming to the storage, the phone supports an internal storage of 32GB, and the storage can be expanded up to 128GB using an external SD Card, however, it is a hybrid solution, meaning the second sim slot has to be compromised. Another good thing is that it is providing Free 1000GB of cloud storage from Tron for Lifetime to store your important files, so you should not worry about storage space. The dual sim supports 4G and VoLTE out of the box. Coming to the software, it runs on Android 7.0 Nougat out of the box. And another good thing, the look and feel is almost stock, without much bloatware or customizations. This is good. Anyways, these sums up the most important features of this device. The rest of the usual sensors etc are all present, you can read that in the full specifications below. How to Get Pixel 2 AI Based Portrait Mode on Any Android Device? 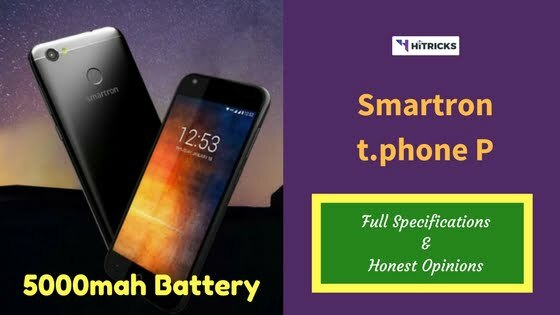 The first thing, this phone is the best recommendation for battery lovers, those who have to stay out for long, or those who are frequent travelers and need a phone with better battery life to stay connected. The second thing is the price at which it is offered at, 8k, seems just right. 3GB+32GB is good, but 4GB could have done better and raised the level of competition. Selfie Flash is supported. Fingerprint Sensor is accurate. Capacitive Buttons have light. Overall a value for money device. If I judge by the price, there is only a little space to talk about alternatives. Well, the first phone I can think of which can be a good competitor is the 10.or E which retails at Rs6999 at Amazon. The next budget smartphone which can compete with this device is the Redmi 5A 32GB Variant. It also retails at Rs6999 on Flipkart. That’s all about Smartron tPhone P. I guess all your doubts are now clear. If you have any further queries you can comment down below. I will be happy to help you out. And do share this page with your friends to let them know about this phone. Use the social share buttons below. See you soon!